An emergency tourniquet is a must-have for your medical gear and the Trailblazer OD Emergency Tourniquet Carrier Pouch will hold it neatly in place until it’s needed. 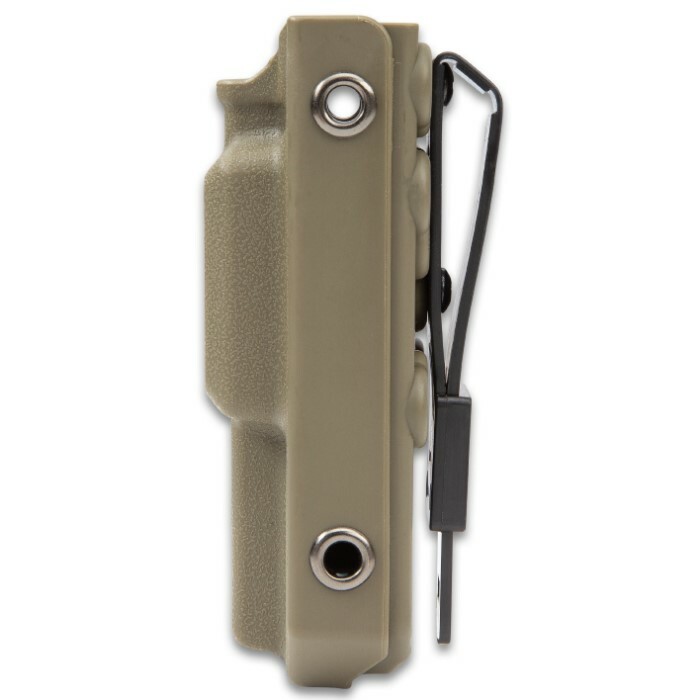 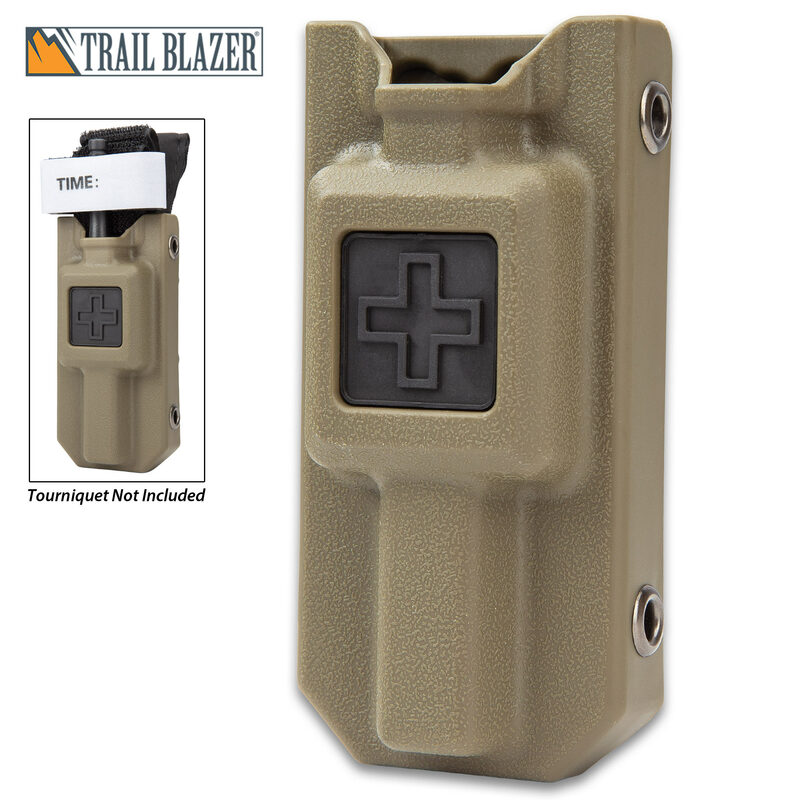 The pouch has a heavy-duty olive drab ABS construction that will hold one emergency tourniquet securely in place. 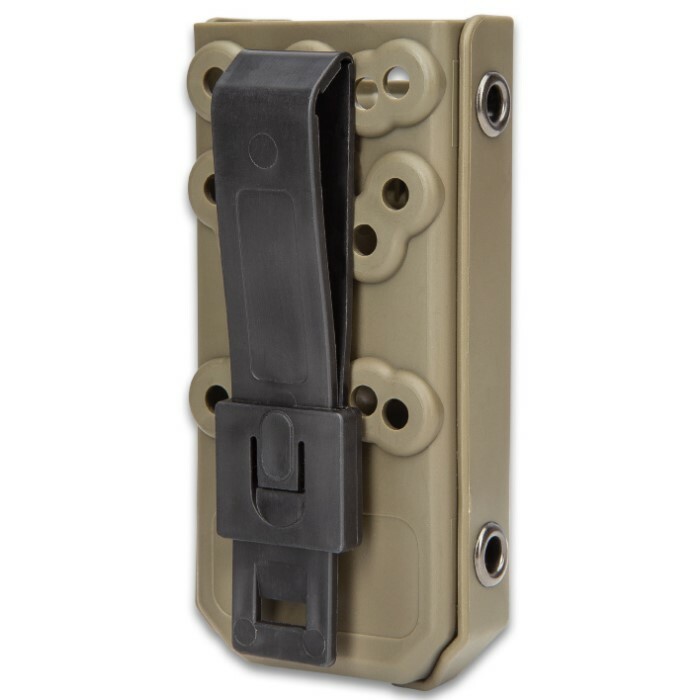 The 4 3/4”x 2 1/4” carrier is self-draining and features lashing holes and a sturdy ABS belt clip for ease of transport and storage. 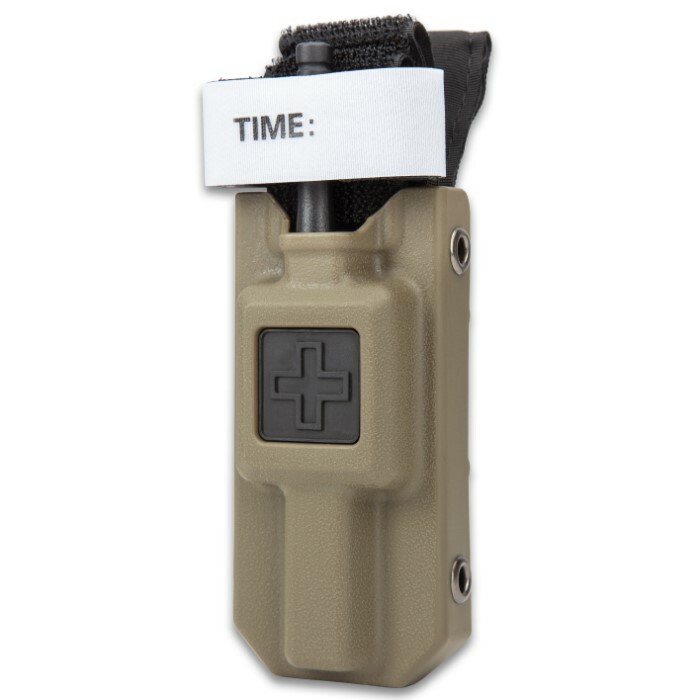 Use it with our Military Emergency Tourniquet (BK2983) or other similar style tourniquets.